Christie Smith reports weekdays for Today in the Bay, NBC Bay Area’s morning news program. Christie joined NBC Bay Area News in 2001 and worked in the East Bay at night for several years before joining the morning news team. At 2:30 in the morning. That is the answer to the question that she is asked most often. "What time do you get up?" She appears on air from 430 am to 7 am and then again at 11 am. A Berkeley native, Christie began her on-camera news career as an anchor/reporter in Medford, Oregon. 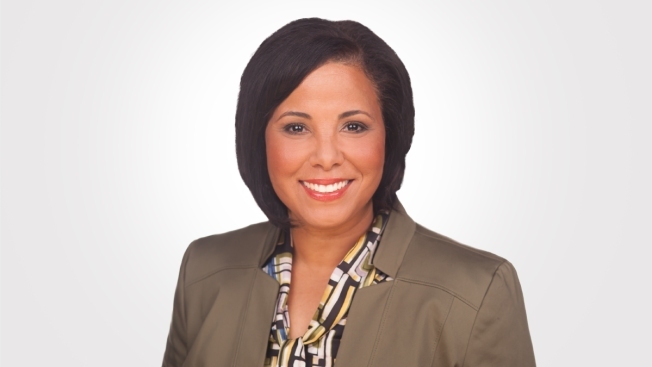 From Medford, Christie moved to KCRA-TV in Sacramento and worked as a reporter for three years. She covered national stories like the Yosemite Sightseer Murders and a tragic school shooting just outside of San Diego. There were also stops in Monterey at KCCN-TV and Chicago at WFLD-TV as a news writer and producer. Christie is an Emmy Award winning journalist. She is a graduate of Berkeley High School. She earned a BA in English from UC Davis and an MSJ (in journalism) from Northwestern University at the Medill School of Journalism. In 2002, Christie had the opportunity to cover the Winter Olympics in Salt Lake City. "That was incredible seeing people from different countries and hearing all the interesting languages." Christie has a large extended family in the Bay Area. She lives in the East Bay with her husband, two sons, and a rescue dog, Sydney, who just won't listen.